After recently testing a moving LED charging cable I thought I’d do another Quick Charge test of different LED charging cable. No running lights this time but just illumination. Will it survive Quick Charge 9v and 12v? The cable comes from Aliexpress, it’s quite cheap too, you can get it for less then 2$! But is it any good? So this video isn’t a quick review with just the results of my tests. I take you along through all of the testing live on camera and show you how the cable handles and see if it’s any good. Will it blow up with the higher voltages of Quick Charge or can it maybe handle them just fine? As always (and you saw in the video) I tested the cable using my EBD-USB to see how well it does with keeping up voltage while the Amperage is raised. As you can see, at 5v the results are quite terrible. Even at just 1.5A the voltage has dropped almost to 4.0v and when asking more Amperage the problem just gets worse. This is a horrible charging cable and not really suited for any more current then maybe 1.0A. Even at that, the voltage drops really low. 9v basically shows the same picture. Horrible voltage loss. 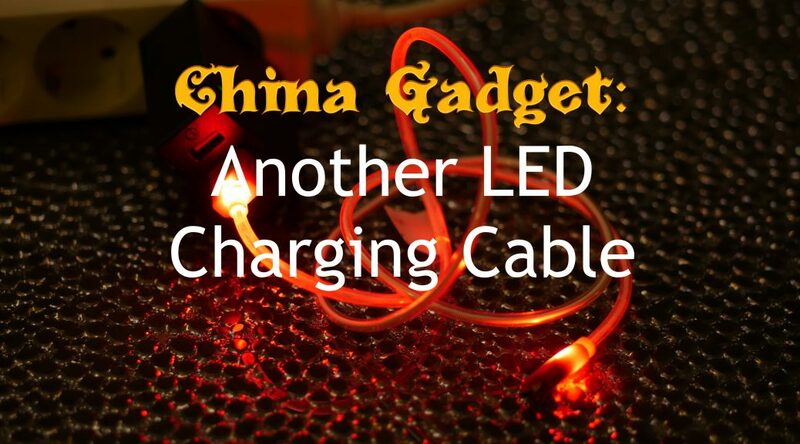 Check the video to find out how the LED part of the cable reacted to it! At 12v the LED part really starts going crazy and as you can see from the voltage drop, this cable is just rubbish to actually charge something with it. Well, from just the voltage graphs it should be obvious that this cable really isn’t very good. It has a nice novelty LED lighting feature but judging it as a charging cable it’s just rubbish. So, if you have a device which only pulls say 0.5A or maybe 1.0A you might get away with using this cable, but anything above that, it’s just horrible. I would recommend using it as a show piece only! If you’d like to see or test for yourself, you can order it here or alternatively get it here. Let me know what your results with it are!